Farmers often find it necessary to supplement their farm income with other sources of revenue. Many municipalities permit farmers to conduct secondary or supplemental accessory businesses on portions of their farms to provide additional income. Supplemental farm businesses, also known as secondary or accessory farm businesses, can take many forms, but most municipalities require that they relate to the agricultural nature of the area. Such businesses can include horse boarding stables, riding schools, farm equipment repair, welding, machine or woodworking shops, processing of farm products or even agricultural-oriented entertainment. The size and area of these supplemental businesses are controlled through zoning regulations to prevent them from growing so large that the integrity of the farm and the character of the rural community are compromised. The primary goal of permitting supplemental farm businesses is to encourage the preservation of a farm by expanding its income-generating potential, while removing some of the economic difficulties that may otherwise result in the subdivision of the farm into non-agricultural uses. Encourages Agricultural Stability: The agricultural viability of farmland is encouraged through the opportunities of additional income. Energy Conservation: When agricultural-related products and services are offered locally, transportation costs and the resultant energy consumption are reduced. Promotes Comprehensive Plan Policies: Comprehensive plans that promote the retention of agricultural areas are supported by activities that help farms remain economically viable. 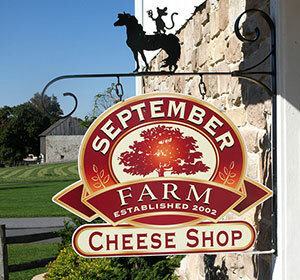 Promotes the Local Economy: Farm businesses can help increase economic activity. Traffic: Large supplemental farm business can generate additional traffic, disturbing neighbors with noisy or frequent truck traffic. Scale: If a supplemental farm business grows too large, it may dominate the original farm activity. Enforcement Difficulties: When a supplemental farm business grows too large or the farm-related nature of the business changes, the municipality may need to take action to limit the activity. The primary goal of these regulations is to preserve agriculture. The municipal comprehensive plan must set the goal of agricultural preservation in appropriate areas, in areas where farming has a significant presence. Zoning regulations must be established that provide for various types of appropriate supplemental farm business. Supplemental farm businesses share some characteristics with home occupations in single-family dwellings. Both are accessory to the principal use of the property. Both should have characteristics that make it possible to remove the supplemental business activity without permanently altering the principal use of the parcel. For example, the farm business should be able to be removed while allowing the area to be reused for agricultural activities without excessive difficulty. Controls should be placed on the scale, location, and size of the business. For example, some municipalities limit the amount of prime-agricultural soils that can be disturbed or removed to permit the supplemental farm business, limit the size of buildings, hours of operation, and the number of non-family employees. Setbacks from adjacent non-agricultural activities may be appropriate. Supplemental farm businesses can be regulated by special exception or conditional use, and some municipalities require the business to receive an annual permit upon municipal inspection. The municipality must plan for adequate enforcement of the supplemental farm business to ensure that the limitations are observed. An irony related to some supplemental farm business is that as they become successful, they often become less and less related to the initial agricultural use of the property, and the municipality may be obliged to limit the activity. West Fallowfield Township permits a range of supplemental farm activities in its zoning ordinance. Lower Oxford Township allows "Family Farm Related Business or School", with accommodations for Plain Sect schools. Section 603. (g)(1) of the Pennsylvania Municipalities Planning Code (MPC) requires that zoning ordinances shall protect prime agricultural land, and Section 603. (h) requires that zoning ordinances shall encourage the continuity, development and viability of agricultural operations. These requirements can be attained through farm related farm businesses.